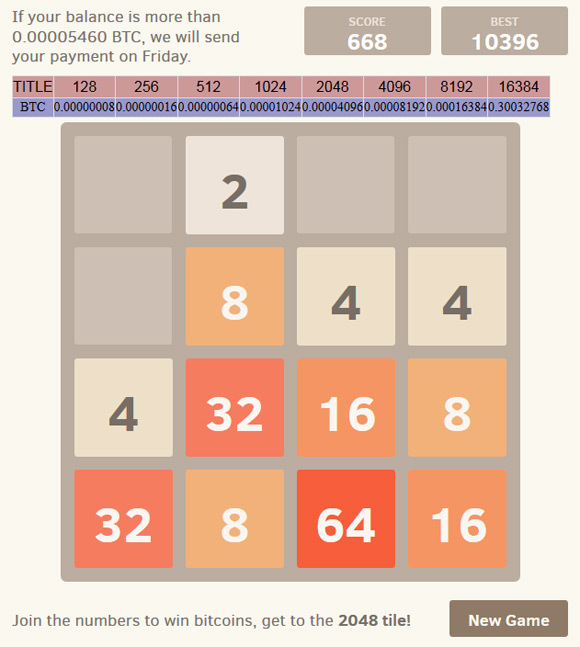 Bitcoin 2048 is a variation of the popular 2048 puzzle game where you need to merge tiles with equal numbers trying to get as higher value as possible and while doing so you are also earning Bitcoins. The higher number on a tile you get, the higher reward you are going to receive, but also the harder the game becomes. 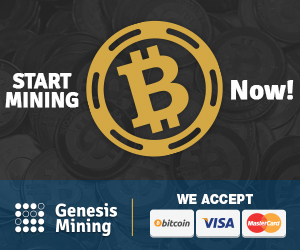 In order to get Bitcoins as a reward you need to have a tile with the number 128 at least, for such a time you are getting 8 satoshi (multiplied by the number of tiles), for 256 number you get 16 satoshi, for 512 number the reward is 64 satoshi, for 1024 number the reward is 1024 satoshi, for 2048 number in a tile the reward is 4096 and so on up to 16384 number on a tile that will land you a massive reward of 0.30 BTC. 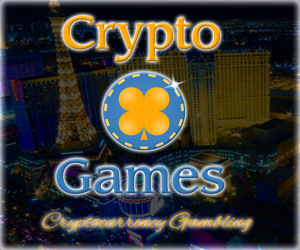 If your balance gets higher than 5460 satoshi your payment will be sent on Friday to the Bitcoin wallet address that you used to register on the game’s website. The game Bitcoin 2048 is a fun and engaging way for you to earn some Bitcoins while playing a logic puzzle game, a great combination for improving your math and gaming skills and getting rewarded with Bitcoins for that. So we highly recommend trying the game out.